Canada has many beautiful cities, landscapes, and nature. For Bärbel Smith, it has been her mission to capture this beauty on canvas. 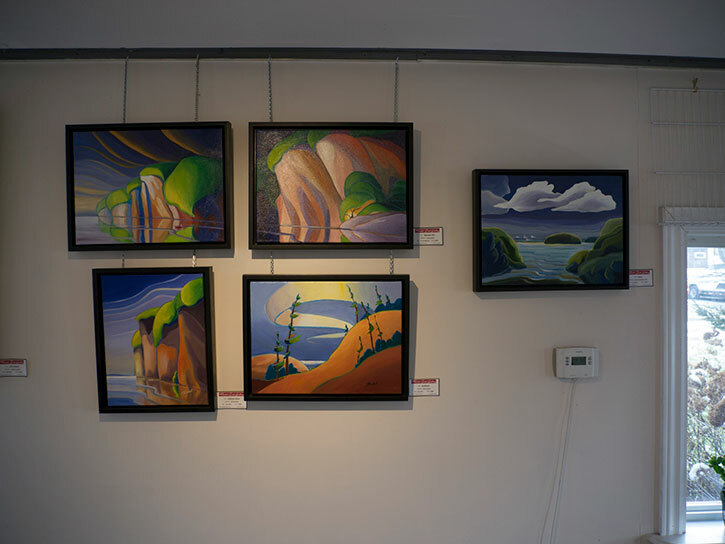 As a landscape artist from a young age, she has travelled to more than 30 of our National and Provincial parks to prove it. When she paints these landscapes it’s almost like she’s entered another world. Much of her material comes from working in the field completing sketches while she’s on location. Sketching it gives her a sense of well being as she stands beside a lake, looks across the water, and feels the wind on her face. 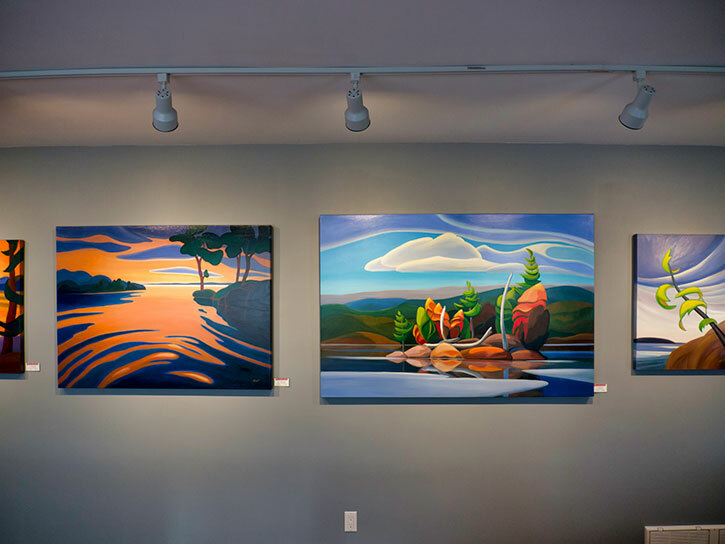 She strives to preserve and protect Canada’s most beautiful landscapes by interpreting them and capturing the vastness and endless land, trees and lakes for everyone to see. She’s amazed by feeling like you can almost reach out and touch the northern lights when they come down. “I don’t think there’s anywhere else where you can see all that openness like you can in Canada. One year we made a 5000 km cross-country trip with eight kids in the vehicle and it was an incredible experience. It was amazing to see everything in vivid detail,” Bärbel says. 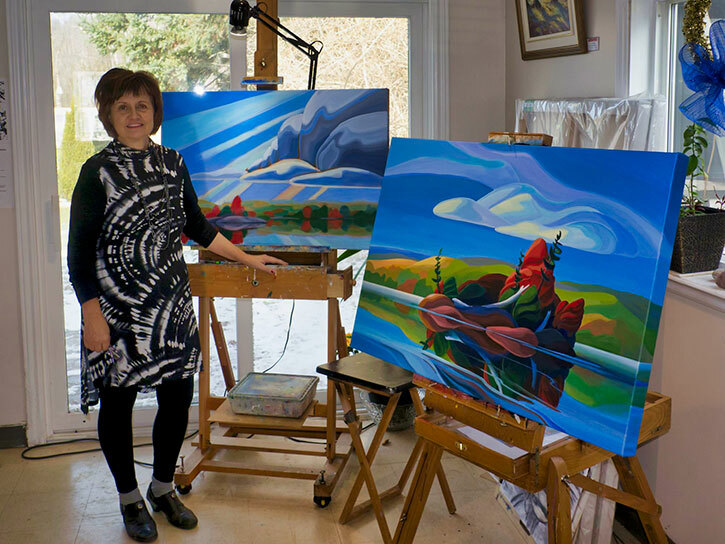 Bärbel immigrated to Canada from Germany when she was eight years old and has been painting ever since. 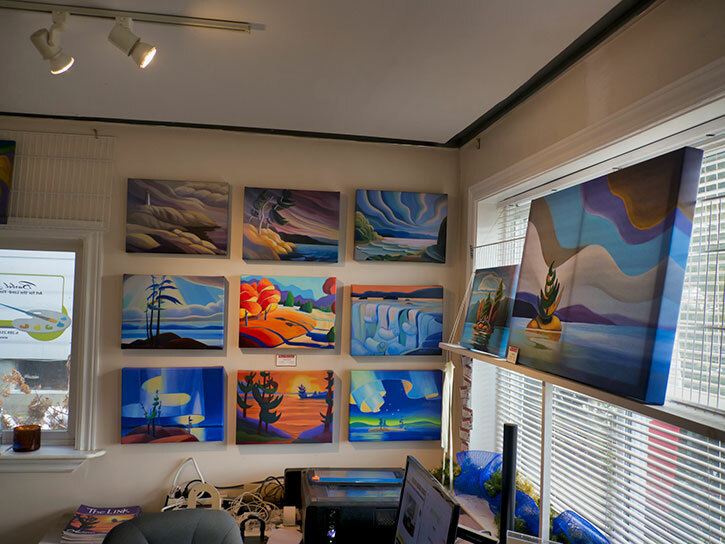 She won a few awards in high school and in her 20s became a chapter member of the Federation of Canadian Artists in Western Canada. Six years ago she finally decided it was time to focus on her art full time. For Bärbel, painting is not only her passion, but also a form of communication between heaven and earth. She tries to incorporate her faith with each light-filled canvas she creates. She had a small studio where she taught part time but she wanted a dedicated space to display artwork. 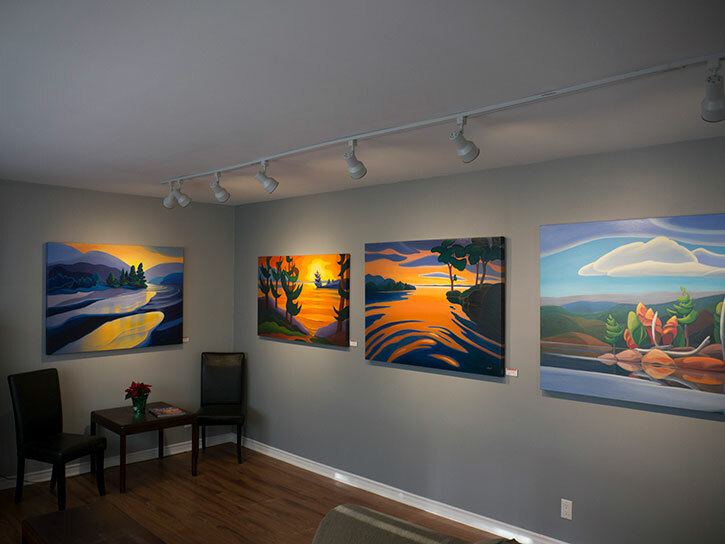 After extensive planning, research and renovations, Bärbel Smith Gallery opened on April 14 2018. 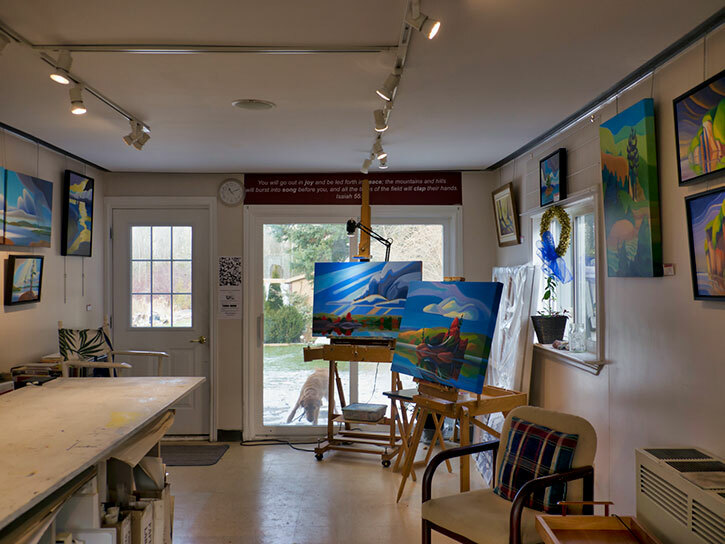 Located in Colborne, the studio not only features her own pieces but visitors also have the opportunity to observe her working live in the studio. So far it’s been quite successful with most of the traffic from the Toronto and Whitby areas. For those interested in purchasing any pieces you can now visualize how that artwork will look in your own home through the augmented reality app ArtBeamer. Bärbel and her husband Dave worked hard on their website and the technology behind the app and are pleased with results so far. “I’m also an inspirational artist and I want people to appreciate and see the sense of life and light that is incorporated into my artwork,” Bärbel says. When inspiration strikes she will go on location to sketch and take those back to her studio to work. She starts out with charcoal value sketches but simplifies them to create a larger scale of work. 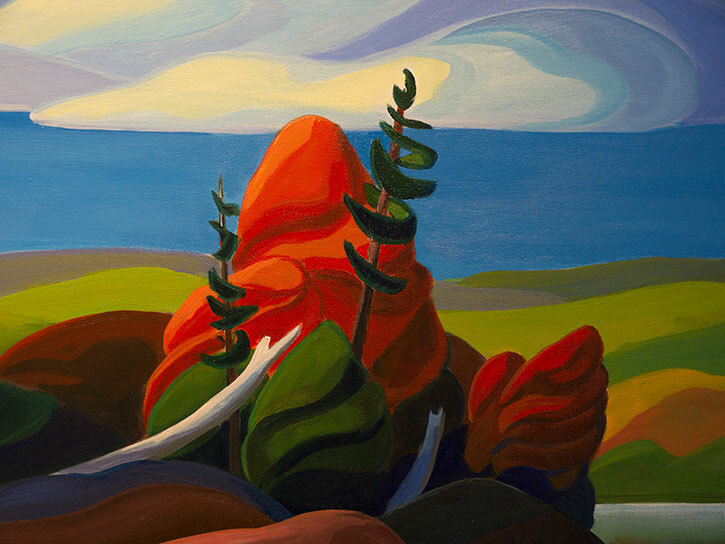 Bärbel studied at the Alberta College of Art and is heavily influenced by Group of Seven, particularly Lawren Harris’ desire to enlighten, uplift and edify. “We should share and learn from them. Harris had a unique style which I adore and we need to continue with that even if it’s just locally here in Northumberland,” she says. Bärbel is working on a new series titled Northern Islands. 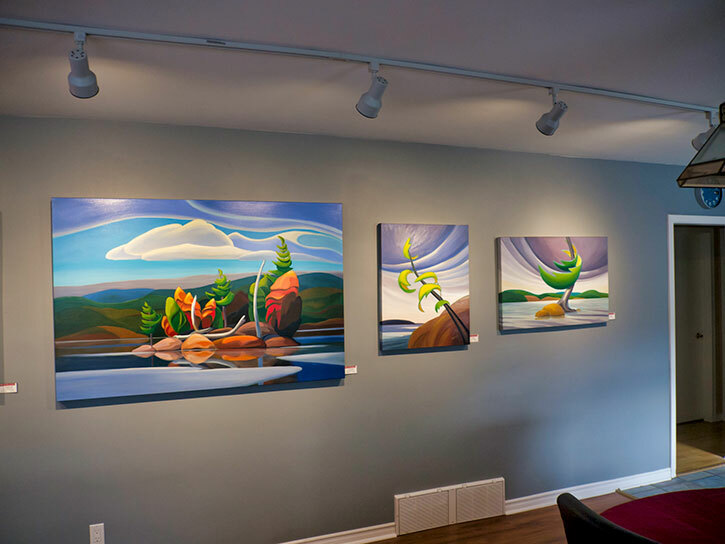 She has four paintings completed that feature landscapes north of lake Huron and lake Superior. When Bärbel is not in her studio, you’ll find her in the field. It doesn’t matter if it’s 40 below or 40 above outside, it’s calling to her. Visit www.barbelsmith.com for more information about Bärbel and her future show dates.